France’s intention to fully integrate NATO structures will strengthen the position of those countries within the alliance who don’t seek conflict with Russia, say experts. “France is increasing its influence and as a consequence limits the influence of Washington and minimizes anti-Russian attitudes in the alliance fuelled by Eastern European countries, in particular, the Baltic states,” believes Director of the Centre of Political Studies Sergey Markov. France is among the countries of ‘old Europe’, which want to build their relations with Moscow without conflicts, he told Interfax news agency. “The withdrawal of France from NATO’s military command in the 1960s indicated de Gaulle’s intention to build Europe from the Atlantic to the Urals and be a middleman between the West and Moscow,” said Aleksey Makarkin, deputy head of the Center of Political Technologies. He added that the French return is a positive move for Russia, because it will hamper such initiatives as the integration of Georgia and Ukraine into the alliance. 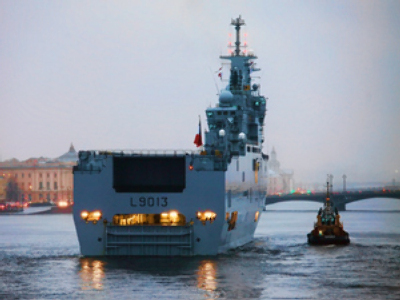 “French policy towards Russia is quite predictable. I believe Paris will now be able to promote normalization of NATO’s relations with Russia more efficiently,” said military expert Aleksandr Sharavin. Military analyst Aleksandr Khromchihin says France is changing its course after more than 40 years of keeping distance because it sees no risk of a major war, as evidenced by President Sarkozy’s own words. 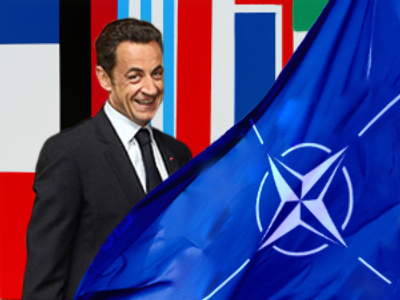 The expert believes Sarkozy intends to gradually turn NATO into a joint European military force independent from the US. President Charles de Gaulle withdrew from the NATO integrated command structure in 1966 and had foreign troops and the organization’s headquarters removed from French territory. The move was explained by Paris's discontent with the predominant role of the US in the alliance and its close ties with Britain, which in de Gaulle’s opinion undermined France’s sovereignty. The country still remained a member of the alliance and supplied its troops for its military operations in Yugoslavia and Afghanistan. Nikolas Sarkozy has been talking about re-joining NATO’s integrated command since 2007. On Wednesday he forcefully defended this decision in Paris. He said it was time to end the situation when one of the founding states of the military alliance stays out of strategic decision making. “It is in France's interest and that of Europe. In concluding this long process, France will be stronger and more influential,” Sarkozy said. He stressed the move will not compromise France’s sovereignty. The country’s nuclear arsenal will remain under its sole control, and Paris will not send its troops on military missions it does not agree to. According to the French president, the summit in Bucharest in April last year, when Ukraine and Georgia were denied the Membership Action Plan despite American support, was an example of how NATO members can impose independent policy. France is expected to finally fix the rift with NATO during its anniversary Strasburg-Kehl summit in April. Before that happens, the decision is facing confidence voting the French Parliament. Polls indicate little more than half of the French population support the idea of fully joining NATO. 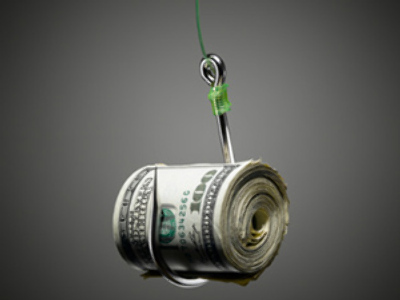 A survey by French Public Opinion Institute IFOP showed 58% are standing for it, while only 37% oppose it.